Keep Memory Alive's 17th annual Power of Love Gala continues to grow with an extended list of entertainment icons and celebrities attending and performing at the 80th birthday celebration for Quincy Jones and Sir Michael Caine in Las Vegas. The star-studded tribute will take place on April 13, 2013, at MGM Grand Hotel & Casino, while raising funds in support of the Cleveland Clinic Lou Ruvo Center for Brain Health and its fight against neurodegenerative brain diseases such as Alzheimer’s, Huntington’s and Parkinson’s diseases, multiple sclerosis, ALS and memory disorders of all kinds. For the first time, anyone who wants to support brain health research at Cleveland Clinic can contribute through a text-to-donate campaign that is now live. Donors can text “MEMORY” to 80888 to give $10. Keep Memory Alive also has a personal fundraising page that accepts credit card donations. 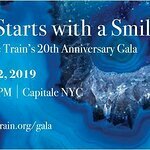 The celebrity-guest lineup for the gala includes the expected attendance by superstar Barbra Streisand along with performances and heartfelt tributes from some of the world’s hottest entertainers including music and film luminaries Amy Poehler, Arsenio Hall, Bebe Winans, Bono, Carlos Santana, Chaka Khan, Chris Tucker, Greg Phillinganes, Herbie Hancock, James Ingram, Jennifer Hudson, Jordin Sparks, Larry King, Marcus Miller, Nikki Yanofsky, Patti Austin, Paulinho Da Costa, Rashida Jones, Scarlett Johansson, Siedah Garrett, Snoop Dogg (aka Snoop Lion), Stevie Wonder, Terrence Howard, Tom Scott, Vinnie Colaiuta, Whoopi Goldberg, will.i.am and more. Celestial twins, born in the same year, same month, same hour and within minutes of each other, one in Chicago, the other in London, Jones and Caine met decades ago and have since been great friends. This glittering star-studded gala will bring together the world’s celebrities of music and film to mark this milestone year for these two entertainment marvels. 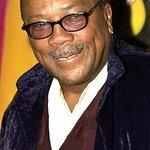 Named by Time magazine as one of the six most influential jazz artists of the 20th century, legendary music producer Quincy Jones has spent more than 60 years in the entertainment industry working with America’s greatest musicians including Ray Charles, Frank Sinatra, Stevie Wonder and Michael Jackson, among many others. Jones is one of the most decorated entertainers of his time, garnering 27 Grammy Awards, a record 79 Grammy nominations, seven Academy Award nominations, a Tony Award nomination and an Emmy Award. Sir Michael Caine is an Academy Award-winning actor and is most noted for his roles in The Cider House Rules, Miss Congeniality and Christopher Nolan ’s Dark Knight trilogy. He won an Oscar for Supporting Actor for his role in Hannah and Her Sisters in 1986, and then again in 1999 for The Cider House Rules. Jones and Caine share a birthday and the Power of Love Gala will be the third time they have joined forces to celebrate. 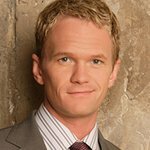 In keeping with its 16-year history, Keep Memory Alive’s Power of Love Gala will include a celebrity-chef dinner, a one-of-a-kind live and silent auction, and a night of star-studded performances. The funds raised by the annual gala support the mission of the Cleveland Clinic Lou Ruvo Center for Brain Health to enhance treatments and research for Alzheimer’s disease and other brain disorders. The evening’s festivities will begin with a Dom Perignon reception, followed by an extraordinary dinner prepared by superstar chef Gordon Ramsay and Wolfgang Puck with his team of chefs, remarkable auction items, and spectacular live entertainment with Greg Phillinganes as music director. The Power of Love Gala is being produced by headlining sponsor Bill Edwards Presents Inc. and supported by the Las Vegas Convention and Visitors Authority (LVCVA), official sponsors HARMAN and Playground Sessions, and Keep Memory Alive, the fundraising arm of the Cleveland Clinic Lou Ruvo Center for Brain Health. For information regarding this unique celebration, please visit Keep Memory Alive’s website at www.keepmemoryalive.org or call (702) 263-9797. Follow the event on Twitter with the hashtag #onememory.